The Sydney Chamber Music Festival (SCMF) is held every year in the beautiful surrounds of the Manly Art Gallery and Museum. In the festivals held since 2008, SCMF has offered its audiences the opportunity to hear some of the best Australian and international musicians playing fine classical and contemporary works, in programs drawn from a wide diversity of musical and cultural traditions. The Sydney Chamber Music Festival, founded by Bridget Bolliger, is devised, and orchestrated by an independent group of chamber music lovers. SCMF is a not for profit, incorporated association and is managed by a volunteer Committee of Management. Various members of the Committee take on specific responsibility to ensure a high quality and smooth functioning Festival event. The Committee is assisted by many other volunteers on the days of the festival. Guy Noble knew he wanted to be a musician from the age of 8. As a boy, he sang as a soloist with the Sydney Symphony and with the Australian Opera. He studied the piano in Sydney and toured with the Australian Youth Orchestra to the BBC Proms in London, playing in Stravinsky’s Petrouchka. He has talked about music (as host of ABC Classic FM’s Breakfast Show), recorded it (9 CDs for ABC Classics), and conducted it all over the country and abroad (Sydney Symphony, West Australian Symphony, Melbourne Symphony, Queensland Orchestra, Adelaide Symphony, Auckland Philharmonic and Malaysian Philharmonic). Noble has been able to work with such wonderful performers as Harry Connick Jr, Dianne Reeves, Ben Folds, Clive James, the Beach Boys, the Pointer Sisters, and in great musical theatre shows such as The Phantom of the Opera, South Pacific, Sunset Boulevard and Gypsy. 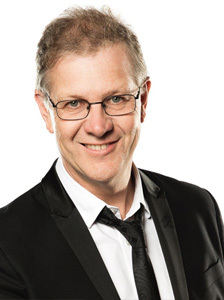 Michael Hedger has been a Secretary of the Sydney Chamber Music Festival since 2008. He has worked in the arts scene of Sydney for 20 years and has long been an arts advocate and a member of several key arts committees. He is the Director of the Manly Art Gallery and Museum and was previously the Manager of Cultural and Information Services at Manly. Before this he was the Manager of Visitor Services at the National Maritime Museum, from 1999 – 2003 the Director of the Campbelltown Arts Centre and before this the Deputy Director of the British Council, Australia. He was the art reviewer of The Newcastle Herald, an arts lecturer and teacher. 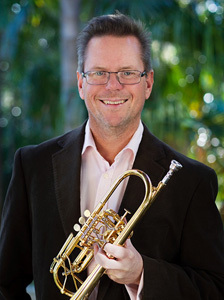 Anthony Heinrichs was born in Perth in 1970 and began playing the trumpet at the age of ten. He studied with Kim Harrison at Hale School, winning several awards, and at the age of 14 he became one of the youngest members of the West Australian Youth Orchestra. He studied at the Western Australian Conservatorium of Music with Kevin Johnson, and received his Bachelor’s degree in 1991. During this time, he worked regularly with the West Australian Symphony Orchestra, performing the Arutiunian Trumpet Concerto, and giving the Australian premiere of Dialogue for Trumpet and Orchestra by Wayne Senior. Australian-Swiss flautist Bridget Bolliger has been hailed by Fanfare as “the very essence of what flute sound should be…”. Bridget distinguished herself early, first performing the Ibert Flute Concerto as a soloist with the Sydney Symphony Orchestra at the tender age of 15. In 2017 Bridget celebrated her tenth anniversary as Artistic Director and Founder of the Sydney Chamber Music Festival and is the founding director of the New Sydney Wind Quintet since 2004. A performer at the Huntington Estate Music Festival and the Australian Festival of Chamber Music, Bridget enjoys her partnership with the British pianist Andrew West, and in 2016 they gave their debut recital in the Utzon Room at the Sydney Opera House. Dividing her time between performing, recording, and looking after her two children, Bridget is also a dedicated flute teacher at her own Pittwater Flute Academy. 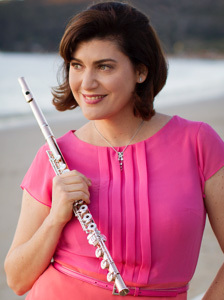 She gives masterclasses around Australia and at playwithapro.com, giving online lessons to flute students around the world. Bridget has held Principal Flute positions with the St Gallen Symphony Orchestra and the Sao Paulo Symphony, and has appeared as guest principal flute and soloist with several European and Australian orchestras including the Basel Symphony, Zurich Opera Orchestra, AOBO and QSO. Graduating with a soloists degree at the Basel Music Academy in performance under Prof. Peter-Lukas Graf, Bridget enjoyed a busy and varied career in Europe and South America spanning 16 years with multiple performances of Mozart’s Flute and Harp Concerto alongside some of the world’s greatest harpists including Marielle Norman, Elena Zaniboni and Sarah O’Brien. Bridget then settled in Sydney in 2004 and soon became a passionate advocate of Australian music. Bridget has premiered several recordings of new Australian works and has recently released a recording of The Laughing Moon by Ross Edwards on ABC Classics. Bridget’s CD release Dancing Shadows, the complete music for flute and piano by Miriam Hyde, has earned great international acclaim from renowned music magazines such as Gramophone, BBC Music Magazine and Limelight, as has her earlier album Quintopia. Her latest album Timeless, alongside pianist Andrew West, was released this year by Austrian Gramophone. In her earlier life, Bridget Bolliger pursued a short lived singing career, studying voice at the Music Hochshule of Koln and at the Academica Musica di Bologna, and performed opera roles in Italy at the Teatro Massimo di Palermo and at the Teatro Sao Pedro in Brazil. 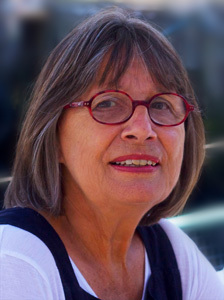 Akky van Ogtrop (MA Sydney University) works as an art historian, curator and Approved Valuer for the Australian Government’s Cultural Gifts Program. As a director and manager of major arts events including the Biennale of Sydney, ARTiculate Campaign, Sydney Art on Paper Fair and Sydney Contemporary, Akky has proven experience as arts administrator and creative manager with extensive contacts and national and international project experience and as an organiser, speaker and facilitator of national and international symposia, workshops and discussion panels. Apart from her expertise as a public program, event manager and art historian Akky works as curator with art museums, galleries and contemporary art spaces, presenting exhibitions by Australian and international artists. She is the Curator for PAPERContemporary 2018. 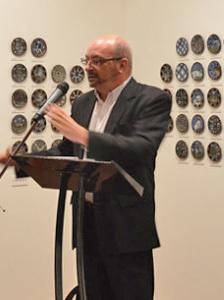 President of the Print Council of Australia, President of the Walter Burley Griffin Society, Board Member Dutch Link and Foundation Member of the Art Gallery of NSW. Akky is the immediate past President of the Sydney Chamber Music Festival.